Is this the perfect gift? SWIG. 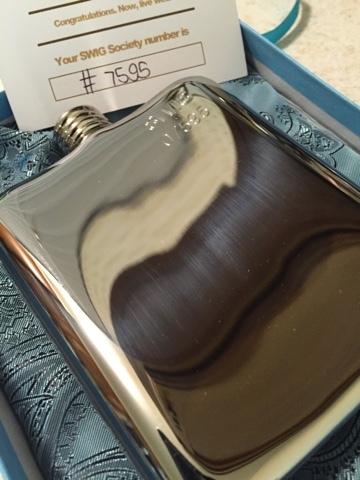 Some time back we were offered a look at a relatively new companies entry into the flask market. Being always curious about anything to do with eating and drinking we said yes. The media has a thing out for hipsters and frankly as far as we are concerned hipsters have been asking for it. Wearing their urban outfitter jeans rolled up with their checkered shirts and suspenders, shoes without socks (gross) and carrying a whole foods shopping bag. But we have a problem here. We have a problem of definition: everybody who seems like a hipster denies being a hipster, which of course is a sure sign of being a hipster. But we digress as we're not talking about hipsters as much as we're talking about style, about function, about beautiful surface's and about the inside, out. The SWIG was setup in 2013 to produce and sell Amazing Hip Flasks. The day when carrying a hip flask was normal had seemed to have passed but in recent years there are two trends that seem to be diametrically opposed and yet both seem to embrace the hip flask. The two trends are the afore mentioned Hipster and the GQ James Bond type. Both have adopted the hip flask and as such are setting the trends for some of the rest of us regular folks to follow along. They are also a standard for all wedding parties and camping adventures. A lot of flasks on the market are more for show than for use. When warming up they spew their contents into your pocket, bag or purse and ruin whatever great moment was to come. So imagine asking your new date to put the flask in her new purse that sits in the sun in the car. See where we are going with this... Potentially the first and last date! Well the good news here is that we put the SWIG flask to the test. Half filled with colored liquid and put into the refrigerator after a few hours the top was removed and then put back on tight and put into an oven that was then set at 250 deg f. (0-125 deg C) Not a single drop escaped. We did this twice to be sure. Filling was a bit difficult with the small opening size so we recommend you order a funnel with your flask which has been specifically designed to make filling a snap.. 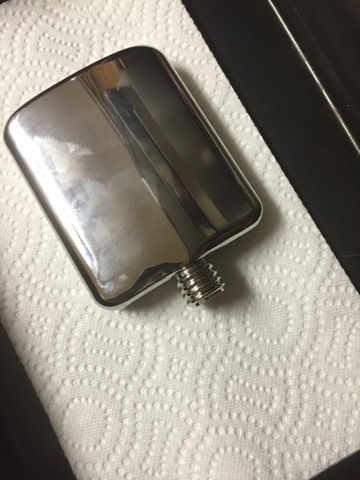 The flask was a SWIG 'Naked' Hip Flask 170ml (6oz). The body is seamless stainless steel. So there is no risk of leaking. The bottom is flat, so it can stand up straight. 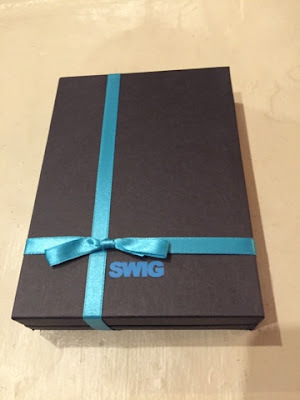 There are a number of different style sleeves and accessories as well as the most amazing option in our opinion the ultimate gift of class the SWIG Handwritten Note that is Wax Sealed in an envelope. Brilliant! Another really cool thing as well as a big part of SWIG and something they are very proud of is the SWIG Society. 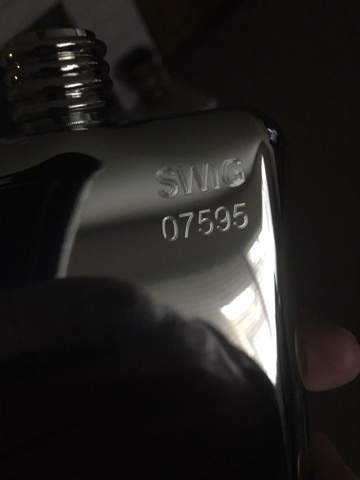 It’s an exclusive club just for SWIG owners, their individually numbered flasks acting as a passport. 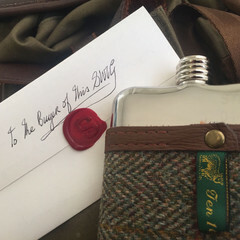 Their members then send in photos of their SWIGs from all around the world, from the deserts of Africa to the outback of Australia to the canyons of America as well as to the spiritual home of Scotch whisky (well you get the picture). So all in all this flask from SWIG is attractive, seems very well made, comes with many ways to personalize and will not spew liquid with massive temperature change. So go check them out at SWIG, a classy cut above. 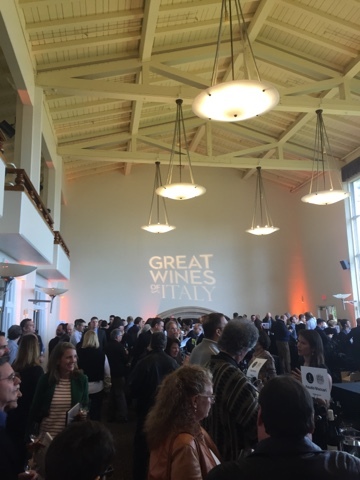 What's better than a tasting of Italian wines? Tasting the Great wines of Italy with James Suckling. 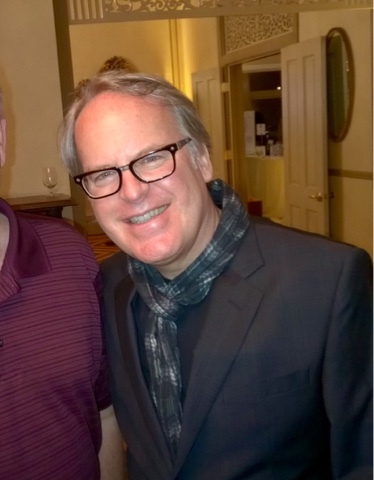 This is the second year that we have been fortunate enough to get to attend this classic classy event, which this year was held at the Golden Gate Club in San Francisco on Feb 28th. 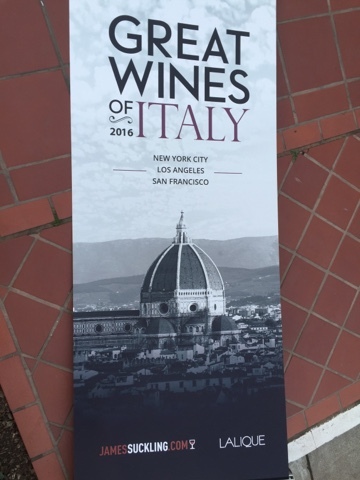 With wines from 114 of Italy's best wineries, this was to be a true taste sensation. The Winewalkabout Lexus dropped us off at the front door this year and it was just the two of us without our chaperones. This could be a mistake we mussed to ourselves as we lined up to collect our 90 point James Suckling glass and start our tasting adventure. Music was courtesy of Surahn Sidhu, an accomplished South Australian musician, who was the events’ DJ. In addition to the great wine, food and music, attendee's also received a complimentary Lalique events glass, designed by James Suckling, to use on the day and later add to enjoy in their home. Turns out Surahn went to school just around the corner from where Trev grew up. One of the ever present problems at events such as this is how to get the best tastings within the time allowed. A problem we usually just blow off and dive in and get at it, but this was a classy event and without supervision we did not want to embarrass James. 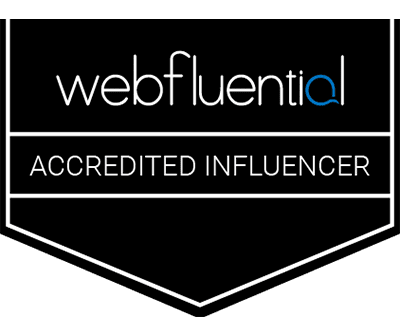 The one issue we encountered in our quest that we had not expected, since this was such an up scale event, was the wanker behavior of some of the attendees. A couple examples of the not so classy behavior; first up is the Wally telling long boring pointless stories of his or her (yes some of the ladies behaved like wankers as well) epic wine trip / tasting / bottle to the pourer all the while 6-8 attendees are waiting to get their / our taste. The other thing is the spitter. Now we understand if you want to spit but show some class and don't bend over in front or across me and spit (sorry for spilling on the back of your head sir). Get yourself properly positioned or use a cup you crass ponce ( I'm sure the stain will come out of your shirt sir). So how were the wines you ask? 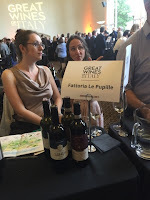 Well to cut to the chase they were as advertised 'Great wines'. Look we are fans of Italian wines and have consumed our fair share of good ones but these were genuinely a great collection of Italian wines. As we traveled around the tables enjoying these wines we had a couple chances to chat with James about the wines, the music and to push our agenda on him of having an Australian, New Zealand version of this event. Its rare to go to a tasting of so many great wines and this event was one of those rare ones and as such is one we highly 'recommend' you go to next time it comes to town, whether that be New York, Los Angeles or the one that we attend, San Francisco. We would like to say thanks to James for having us and spending the time to hang out and chat. Cheers mate, until next year! For one of us South Australia is home. No not where we live now but where we grew up and where the heart is. So to get an invite to go listen to a seminar and taste the latest wines from what one of us considers the wine capitol of the world was too bloody good to miss. 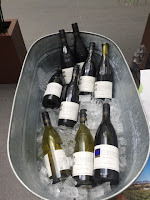 Savour South Australia (yes Americans, savour has a u in it in actual English) was held at One Market Restaurants conference room in San Francisco (hey everyone, lets do one in Monterey) which unfortunately means million dollar parking fee's, but we knew it would be worth it. Thanks to Allson for taking great care of us getting us in the front row for the seminar. 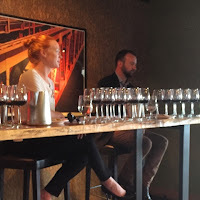 While the moderator yank had a hard time remembering the pretty presenters name (bad form mate) the lovely Jennifer from McLaren Vale and James from Barossa Valley did a fantastic job of going into some fascinating detail of their respective regions. Not too nerdy but a great balance of nerdy and fun facts. 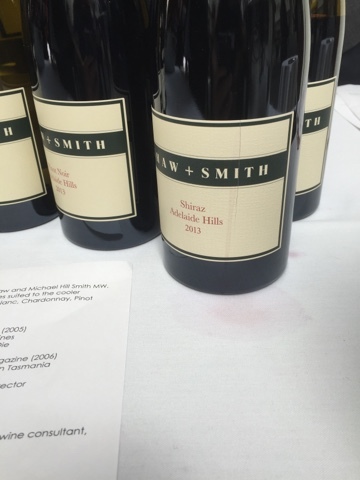 While talking about the respective areas we tasted along with some truly impressive wines. These wines are top class and would stand against any in the world. Now you may say, oh sure Adelaide boy you are a bit biased. While that may have some merit I stand by the statement. I can name off a dozen that will substantiate the claim. 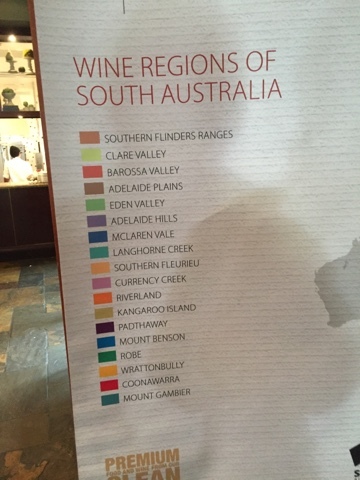 South Australia has 18 wine regions. 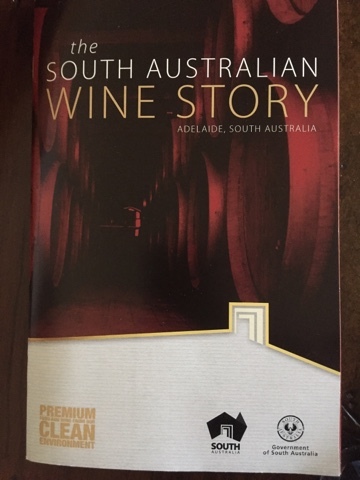 The most well known being Barossa Valley and McLaren Vale. Don't let that lead you to believe that that is where the good stuff come from. There are world quality wines coming from most of them. With areas like Coonawarra, Clare Valley, Eden Valley and the Adelaide Hills just to name a few, there is no shortage of top drops here. During the seminar there were 12 wines to talk about and taste and there were some beauties to look forward to at the tasting. Right out of the gate the first wine was a cracker. The Henschke 2015 Julius Riesling from Eden Valley. We love a good Rizza and this was a beaut. Look not a disappointing wine in the bunch but including the wine #1 Henschke here are a few that really captured our taste buds. 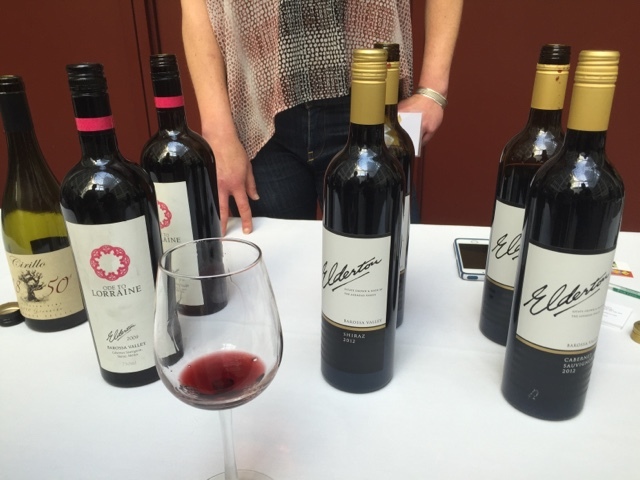 They call Australia a new world wine region but here we tasted wines from vines that are up to 173 years old. With other wines made from vines that are 150 and 165 years old. There is a saying that Old vines are not good because they are old but are old because they are good. These wines were / are simply stunning! 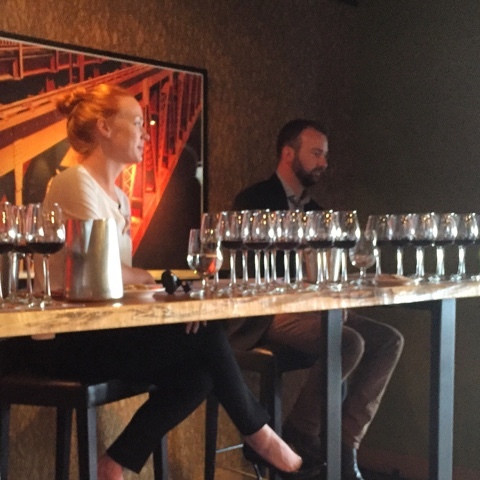 The seminar was an eye opener even though we drink a lot of Aussie wine, to have them lined up all in a row was to give one a new appreciation of what wonderful wine comes from this part of the world. Next up was the general tasting and there are some pluses and minuses here. 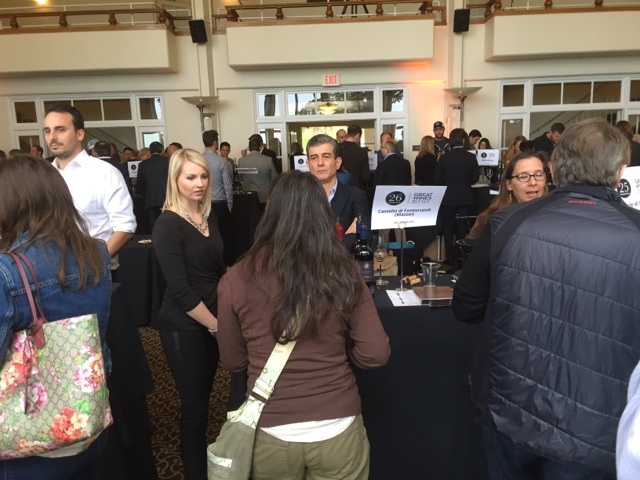 The plus is there were a few winemakers there to represent their wine. The minus was there were only a few winemakers there to represent their wine. Another plus the hors d'oeuvres were delicious and they kept coming long enough and the only complaint being that we ran out of time to get to all the wine tables. 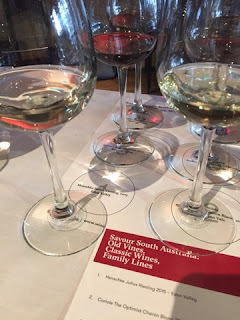 Look there are some seriously great wines coming out of South Australia and we love drinking them and telling anyone who will listen about them. 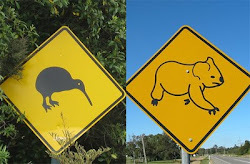 We are even looking into doing a WineWalkabout South Aussie wine tasting in the Monterey area if we can get a wine maker interested in sharing their wines. This is because we truly believe that the American market is missing out and once exposed they will be fans for life.